As iconic aspects of human culture that have both made similarly impactful contributions to the world of science and knowledge, it makes sense that The Simpsons and Stephen Hawking would be somewhat connected. 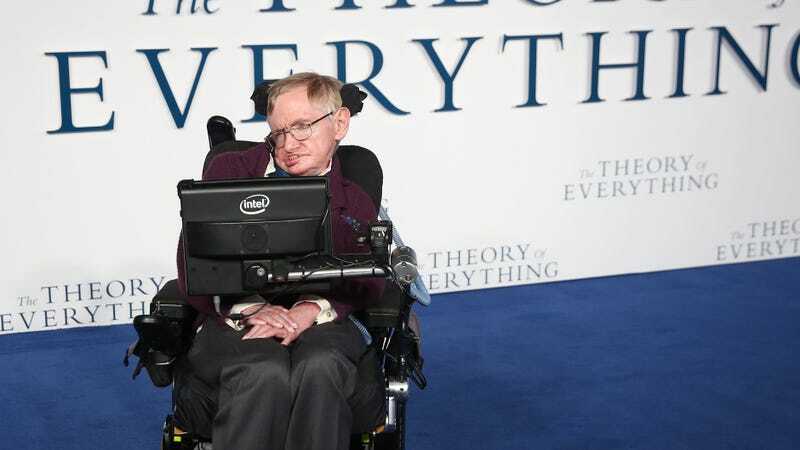 Hawking made four appearances as himself on the show, beginning with “They Saved Lisa’s Brain” in 1999, and as we noted last week, he had a fun habit of showing up to the Simpsons’ table reads and just hanging out with the cast and writers. That image comes from Simpsons executive producer Matt Selman, showing the rocket-powered, helicopter wheelchair Hawking used in his initial Simpsons appearance.